As part of a Wellcome Trust project, we recently digitised thousands of our early manuscripts which we have been uploading to view through our online catalogue. 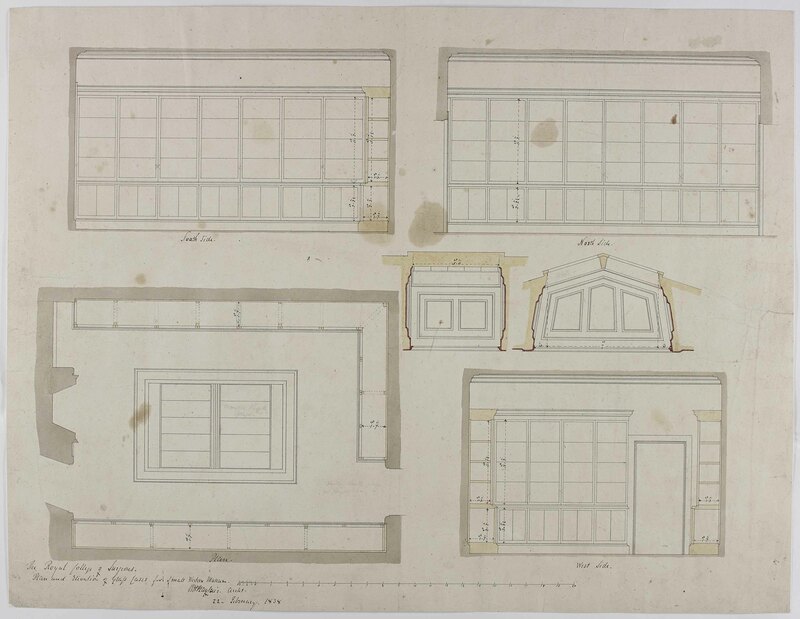 While the majority of these manuscripts span the 16th-18th centuries, we have also digitised our 1830s architectural plans of the current RCSEd building on Nicolson Street, which you can view here (ref: RCSEd 8/2/2). 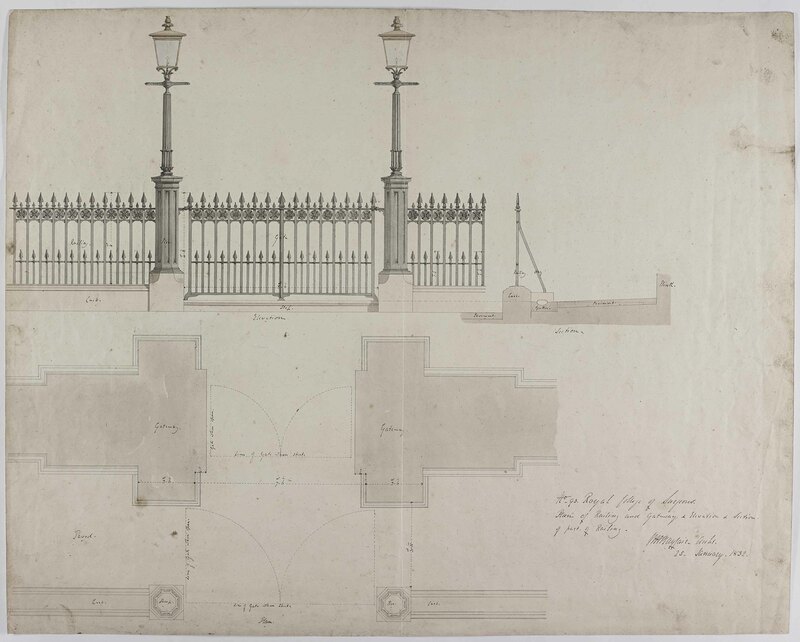 The set comprises over 120 original drawings by Scottish architect William Henry Playfair, famous for creating his vision of ‘Athens of the North’ in Edinburgh. 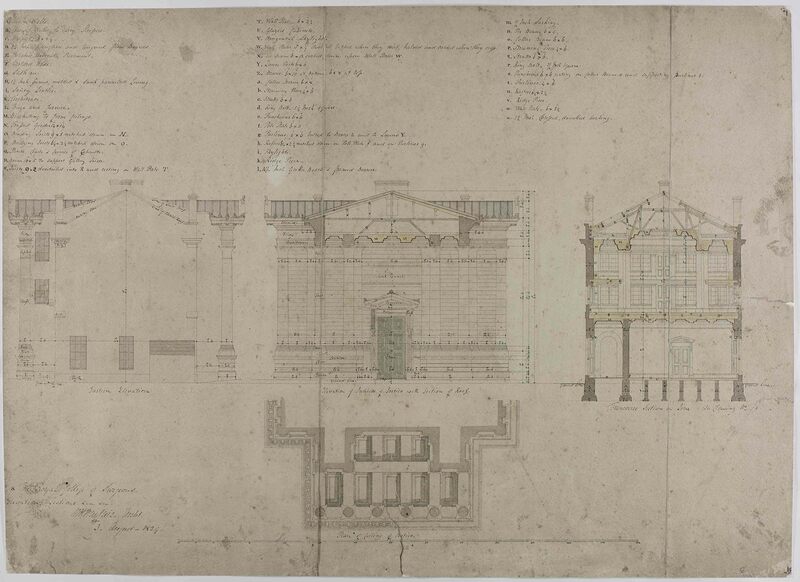 In addition to our home on Nicolson Street, Playfair was also responsible for the neoclassical designs of the National Monument on Calton Hill, the National Gallery of Scotland and the City Observatory, to name a few. 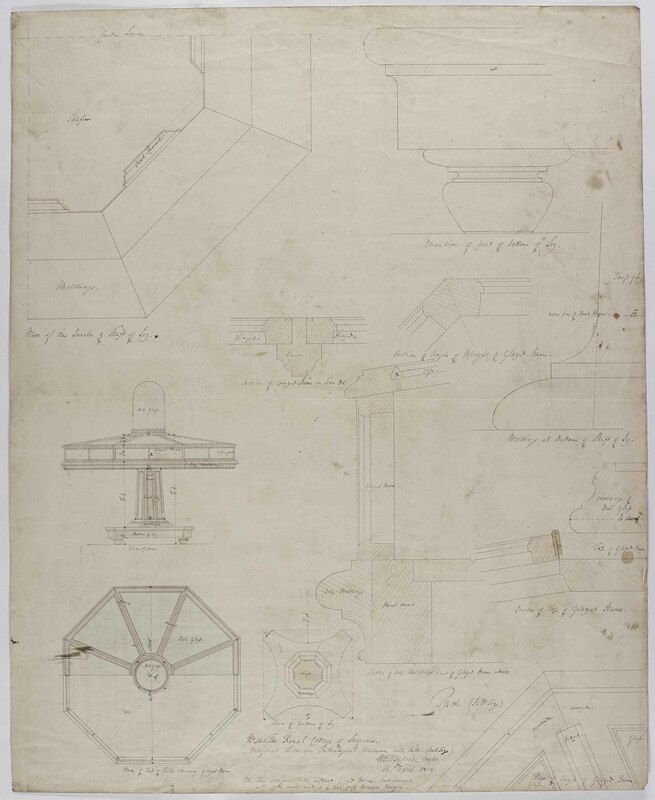 In the 1820s, the College sought new premises because the ‘Old Surgeons’ Hall’ building in High School Yards was deemed unsuitable for accommodating the growth in the number of surgeons, and also, the new Charles Bell and John Barclay collections. "the Old High School Building (nearby) as it stands, is quite unable to offer the accommodation that was wanted. The lower floor could be altered to create a Hall, Library, Committee Room, Waiting Room, 2 water closets and a House for the Officer. The upper floor could be converted into a room for the Barclayan/Barcleian Museum and an adjoining room, an Anatomical and Pathological Museum and a Class Room, accommodating 90 students. But this would mean that there would be neither coal cellar, nor store rooms for new Museum specimens and for those awaiting repair nor class room for 250 students nor dissecting room nor a professor’s retiring room". Playfair advised against purchasing the Old High School Building to alter, and a new building was proposed on the more prestigious Nicolson Street site. 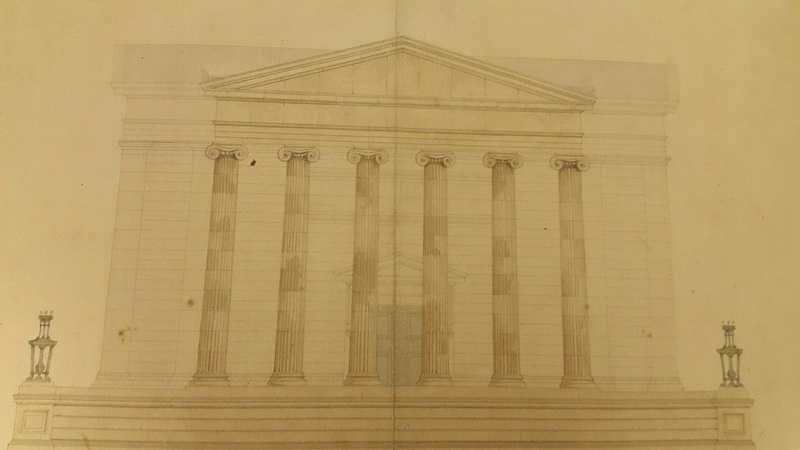 The Surgeons’ Hall building, as designed by Playfair, opened in 1832. 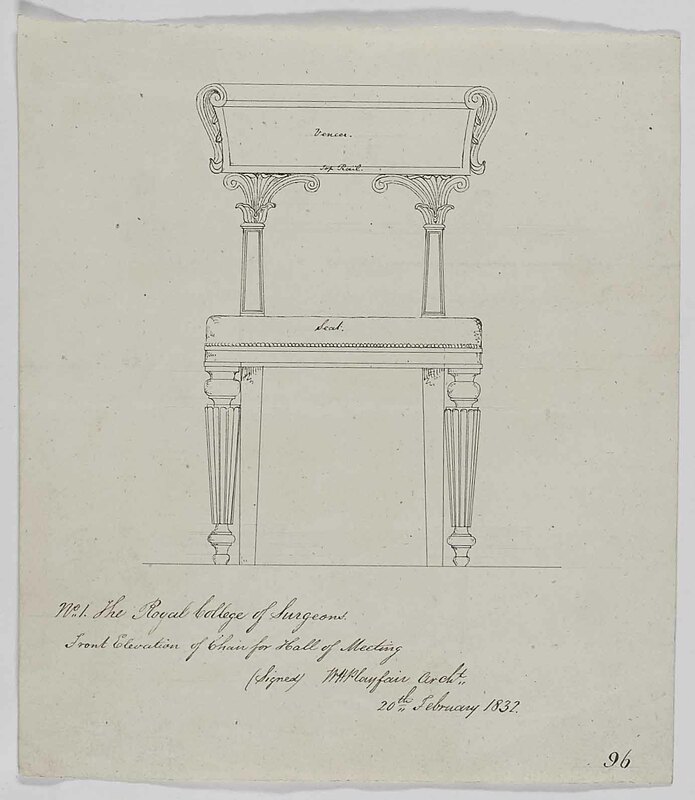 The Playfair plans include all aspects of the College’s design features, right down to the railings, chimneys, furniture and the "pedestal for Dr. Barclay’s bust".